Google Music isn't doing as well as Google would hope, with the service losing members on a weekly basis. An unnamed digital music executive has spoken out about the service and believes that it is haemorrhaging users and has been since launch. This has all come about since CNET did an investigation into Google Music and found that it was not living up to expectations. This is according to Wayne Rosso, a columnist from The Music Void, who has it on good authority that Google Music is going through a difficult emo phase at the moment. "I've never seen anything like it", explained a source to Rosso. "It's astounding. It's hard to believe that with an install base of over 200 million Android handsets they're actually losing customers." According to CNET, Google Music's customer adoption and revenue are below expectations but nobody is sounding the deathknell on the service just yet as it is barely out of its first quarter. 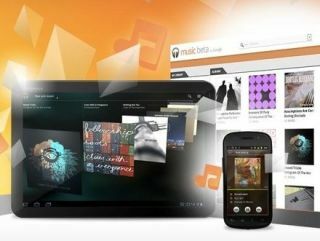 Google is yet to launch Google Music in the UK and made the interesting decision to launch the service in the US originally as a Beta, without any proper advertising, and then as a fully fledged service back in November. Google has so far kept quiet about the number of people using Music.